Ice extended far out into the lake. 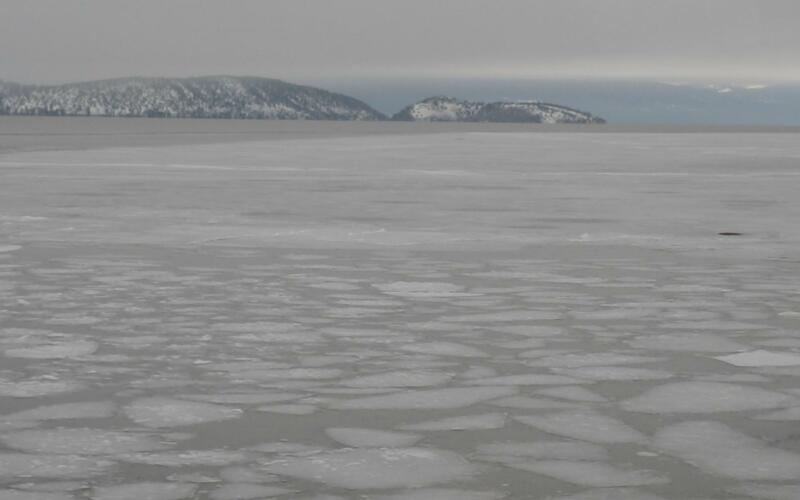 It looked like individual pieces of ice, but that was an illusion caused by surface melting. Shore birds dotted the ice. 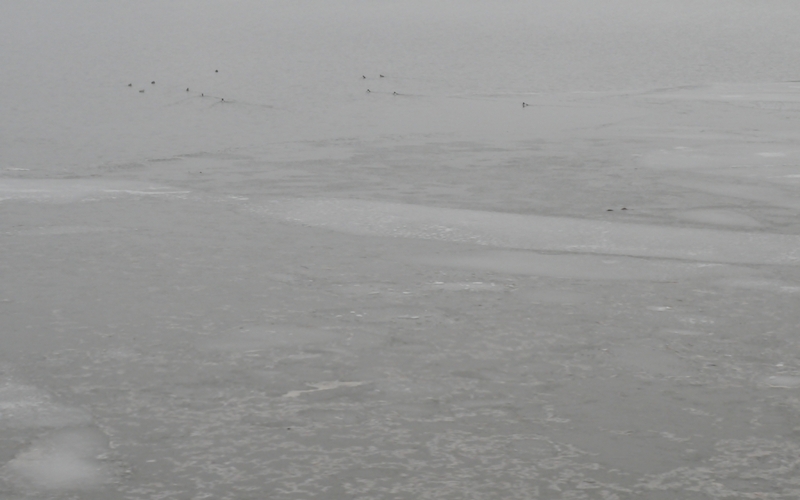 Those birds waded in shallow puddles melted into the surface of the ice.